The timely start-up and the following hot-test period of 7 weeks, during which 25,000 tons of finished wirerod in quality have been produced, reflects the long-term cooperation between Pittini Group and Danieli. Strict end-product size tolerances have been reached from the very beginning. Equipped with the most advanced wirerod technologies and in full compliance with Industry 4.0 requirements, the plant produces 750,000 tpy of plain wirerod from 5.5 to 25 mm and rebar from 6 to 18 mm at rolling speed of 100 m/sec. High-speed shears, installed downstream the multi-drive high-speed twin-module sizing blocks, perform wirerod head and tail cropping. The fourth-generation loop layers guarantee perfect loops from heads to tails. 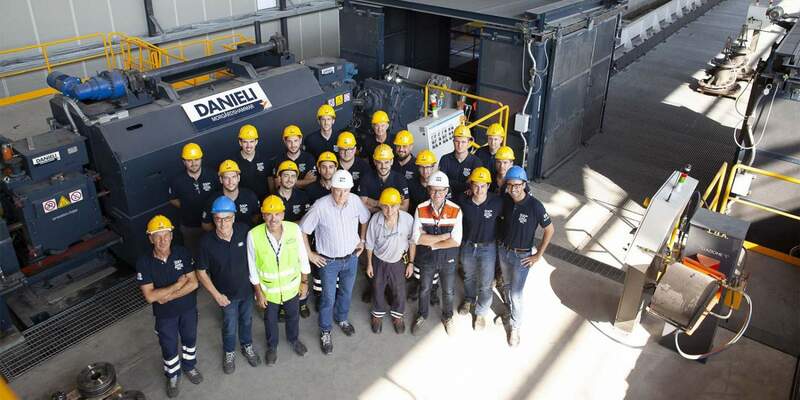 The Acciaierie di Verona wirerod mill is the 500th rolling mill supplied by Danieli.